Choosing the right online store platform is incredibly important. This sets the stage for a successful, or unsuccessful, ecommerce business. There are many options for new businesses or existing ones not happy with their current platform. Two of the biggest contenders are Magento and Shopify. These two platforms are often pitted head to head in the race for the best ecommerce platform, although they are really completely different. While Magento has enjoyed popularity for quite a long time, Shopify is probably one of the biggest competitors in the market. With the release of Magento version 2.0, Magento might inch even higher on the list, making it an ideal solution for all business sizes. 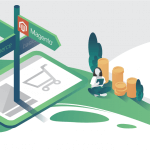 We’ll highlight how Magento and Shopify differ and how each platform translates into ecommerce store features, while focusing on the new features of Magento 2. This discussion will help store owners choose the best ecommerce platform for their needs. One way to compare the two is to look at the businesses that use them. Magento boasts some big names like Nike, Rosetta Stone, Olympus, and Ghiradelli. Shopify has a few big names like Tesla and the Los Angeles Lakers’ Store. The majority are small and mid-sized businesses. Both store platforms boast successful companies. In terms of coding, Magento and Shopify vary vastly. Magento uses PHP, while Shopify uses a coding language called Liquid. Magento is open source, while Shopify is proprietary. This is important when it comes to deciding on the perfect platform because it determines what can be done. Open source means the source code is freely available and can be modified, while propriety code cannot be. With Magento, template code can be altered to suit specific store needs, while with Shopify, it cannot. This makes Shopify a fine solution for simple stores, but not ideal for more complex ones with specific advanced functions that require changing the source code. Shopify is a software-as-a-service (SAAS), meaning users pay a monthly subscription fee to access the Shopify software. Starting with Shopify gives you a free trial, but after that, you’ll have to pay. The Basic store is 29/usd/month and goes up to $179/month. By paying more per month, Shopify users are able to access more features like abandoned cart recovery, gift cards, and advanced reporting. In comparison, Magento users can add these features for significantly less per year. A complete abandoned cart recovery solution from CreativeMinds, for example, is only $39/year with support and upgrades. 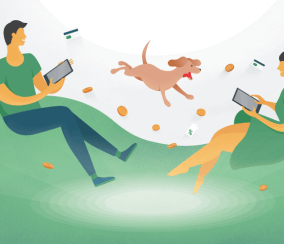 Shopify also charges transaction fees for payments made through external payment gateways like PayPal, Braintree, and Authorize.net. 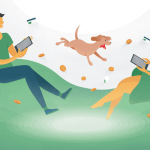 The fee percentage ranges from 2.0% to 0.5%, with more costly monthly subscriptions resulting in lower transaction fees. This means each time an online transaction is made, Shopify takes a cut. If your store sees a lot of transactions, the fees can easily rack up to quite a lot of money. Users can avoid these fees by using Shopify’s direct payment gateway. While Shopify is hosted by the company, Magento is a self-hosted solution, so users will have to pay a third-party hosting service. This can be as little as 3.95 USD from companies like SiteGround and HostGator. Good hosting is essential for a successful store. Hosting can affect site speed, storage, and the number of products an online store can handle. 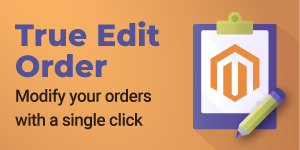 Magento users are able to choose the hosting solution that fits their needs and the price that comes with it, instead of the option through Shopify. 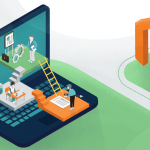 The Community Edition of Magento is free to download, a great option for developers and small businesses. The Enterprise solution cost depends on the specific online store needs. For both Magento and Shopify, you must factor in the cost of any add-ons. Chances are the basic software will not be enough to create the online store you want, so the expected price will be higher. 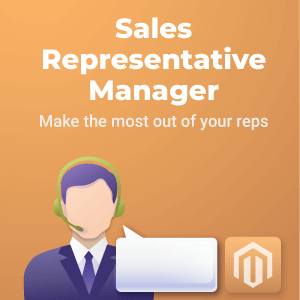 In addition, Magento users may need to enlist the services of a developer to set up and manage the store, so this must be factored into potential costs. Armed with some basics about each platform, let’s see how well they translate into successful online stores. The consensus tends to be that Magento is better than Shopify for large-scale stores with many products. If you’re looking to start a small store without a lot of fuss or commitment, Shopify is a good choice. If you want an online business that has the ability to grow and evolve with more flexibility, Magento is a better bet. And really, who doesn’t want to create the next big thing? Magento is a robust tool for business owners. 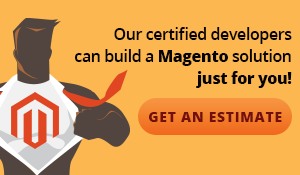 With over 5,000 add-on extensions (free and paid), Magento definitely has the advantage when it comes to capabilities. Compare this to over 100 apps and add-ons for Shopify. Any ideas you have along the way can most likely be integrated with your store through affordable extensions for Magento. Want to add custom coupon error messages or multiple employee logins with different permissions? It’s easy with extensions, even for non-coders. The possibilities are nearly limitless. With Magento, every aspect of the website is under the business owner’s control. This is something a business owner may value, depending on the individual’s goals. Admin can create and manage several stores within the same admin panel. 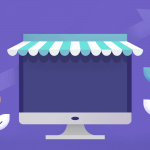 In addition, compared to Shopify, Magento comes with more frontend features for customers like coupon codes, giftcards, customer dashboards, related products, wishlists, order status modules, and more. Creating a successful online store involves forging a unique brand that customers recognize and respect. A major part of branding is design. Both Magento and Shopify offer many free and premium themes. Many themes for both platforms are responsive, meaning they function on a range of screen sizes. Having a mobile-friendly online store is important, as more and more customers are using mobile devices to shop online. Because Shopify themes are proprietary, they don’t allow for a lot of tweaking. Beyond changing colors and font, Shopify users aren’t able to fully customize themes, creating a possible issue for store branding. The Magento 2 upgrade includes drag and drop visual editing, which allows non-coders and coders alike to create beautiful sites in no time. A lot of people mention that Shopify is easier to use than Magento, making it preferred for non-developers. It’s quicker to set up shop immediately after signing up for Shopify. Shopify includes a website-building tool to customize your store features in-house. With ready-made extensions, though, Magento becomes a lot easier to work with. It doesn’t require coding when there are simple solutions that already exist. 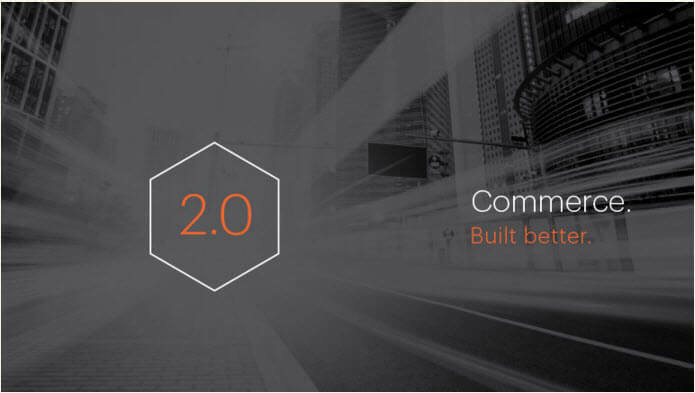 For users wanting an even better user experience than is afforded by Magento 1 and add-ons alone, there’s Magento 2. This new version addresses many of the issues users had with Magento 1. Magento 2 comes with a user-friendly admin panel. It’s simpler for new users to learn. Compared to Shopify, it’s easier for admin to complete tasks like accessing advanced reports, managing payment processors, sort customers, market products, etc. It’s easy for admin to manage their store behind-the-scenes without advanced development skills. Admin are able to accomplish more in a shorter amount of time, a plus for new businesses struggling to manage lengthy to-do lists to get everything off the ground. They can even manage ecommerce stores on the go with optimization for various screen sizes. 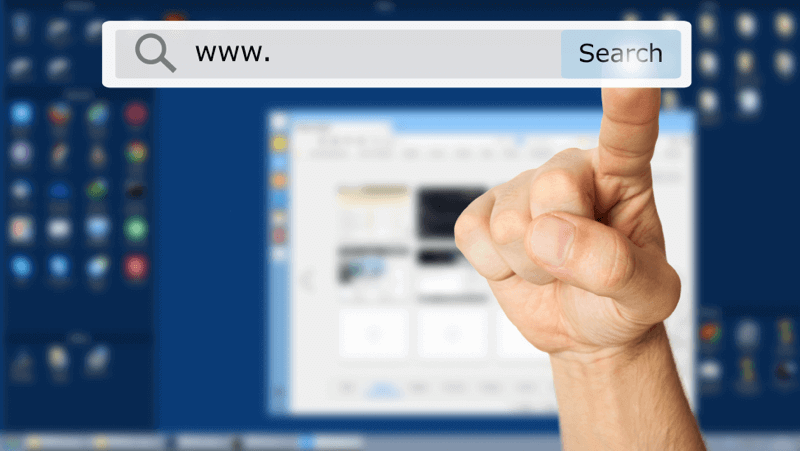 44% of online purchases begin with an online search. This makes finding your online store and products via Google and other search engines incredibly important. Some ecommerce platforms are inherently better when it comes to search engine optimization (SEO). In a study of the SEO scores of 16 shopping cart platforms, Magento came out on top with Shopify and Woocommerce tied for a close second. SEO features examined include things like headings, meta descriptions, page URLs and titles, etc. With comparable SEO scores, the SEO capabilities of Shopify and Magento will help drive organic traffic to your online store. 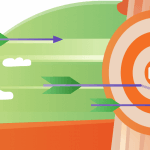 Website speed is a ranking factor for SEO and a determinant of whether customers buy from your store. If it takes a while for store pages and products to load, potential customers will likely flock to another website. Research shows that even a 1 second delay can reduce conversions by 7%. A speedy online store equates to a more successful one. In the past, many users described Magento as incredibly slow. This made Shopify the clear winner when it came to speed. With the release of Magento 2, it’s not as clear which platform performs better. 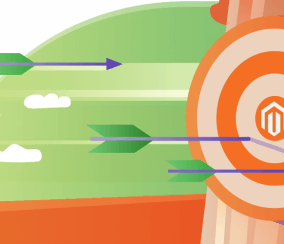 Compared to Magento 1 sites, Magento 2 sites perform an average of 20% faster, in some cases up to 56% faster! A quick and user-friendly checkout is another factor when comparing Shopify and Magento. 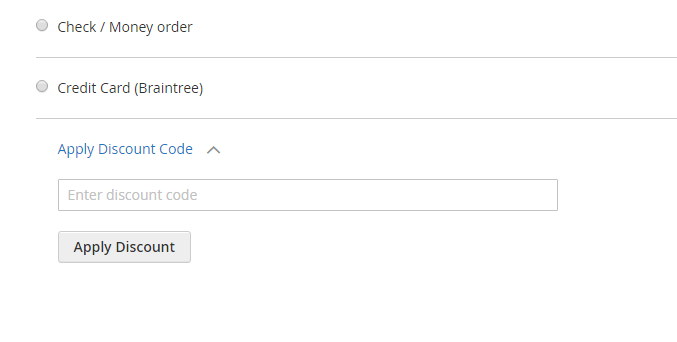 The new and improved Magento 2 checkout is exceptional. It’s packed with out of the box features like distraction-free checkout, automatic guest checkout, one-click account creation, and two-step checkout. The discount code box is placed on the checkout, making the process a lot more intuitive to customers. Shipping and payment information is separated to reduce confusion. Shopify also has a great checkout with the semi-recent introduction of a one-page responsive checkout. One con is that in Shopify, business owners with the lower tier pricing plans aren’t able to view real-time shipping rates, which could result in higher shipping rates for customers. Another “pro” in the Magento box is the wealth of a community compared to Shopify. Magento has a large, active community. Magento developers are able to create solutions for a vast number of user needs. There are also a number of resources for beginners looking to learn more about Magento. The broad Magento community means business owners won’t have a problem finding a capable developer to work with. Users can go through Magento to find help, or access support and maintenance services via outside developers. Ecommerce platform users may want to create a multi-vendor marketplace where multiple vendors sell their products through one shopping cart. 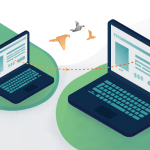 Both Shopify and Magento 2 have add-ons available to create a multi-vendor system. Again, Magento has Shopify beat when it comes to capabilities for marketplace stores. 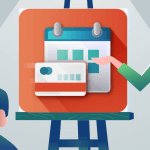 There are more built-in promotion features like promotional pricing and flexible coupons that will take single- and multi-seller stores to the next level. The Magento 2 upgrade comes with increased scalability and performance essential for multi-vendor stores. 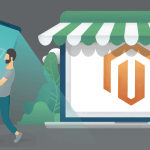 Managing a successful marketplace is all about functionality and this is definitely where Magento pulls ahead in the race. It’s difficult to say which ecommerce platform is best for every single online store. What works best will depend on goals, budget, and expertise. When deciding between Shopify and Magento, consider what is most important to you. Is it creating a quick store to handle 100 products? Shopify may best suit your needs. If you’re looking to develop an online store with unlimited potential for features, scalability, and customization, Magento is likely better. Again, it depends on the situation. 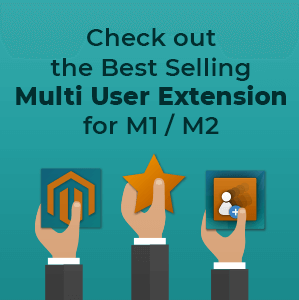 Magento is packed with useful built-in features and limitless possibilities through add-on extensions. 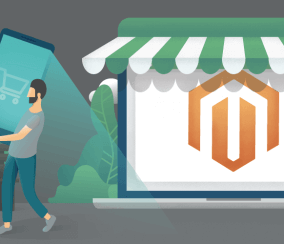 These reasons, in addition to the improvements with Magento 2, make it a great pick for ecommerce businesses.